14kt yellow gold 2 Point Loop Reverse Cradle set with a 5mm round diamond (0.50ct). 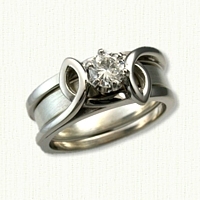 The accompanying 14kt white gold diamond eternity band has 25 - 0.03ct stones (3mm #6298C). The 2 Point Loop Cradle can be 6 to 7mm wide and is available with any 3 or 4mm band. 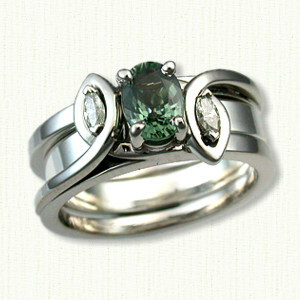 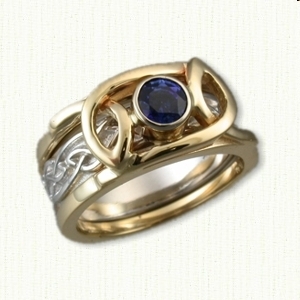 Description: The 'Reverse Cradle' is our newest innovation in our extensive line of custom Engagement and Wedding rings. 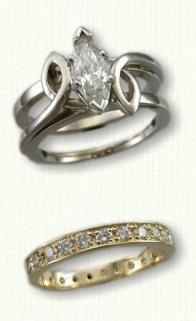 In concept it is an Engagement Ring with the Wedding band that is removeable. 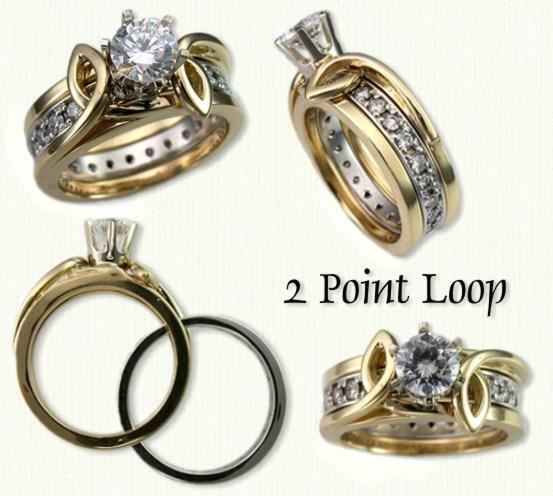 The best part of this concept is that it puts to rest the age old problem of wedding bands that don't really fit with the engagment ring. 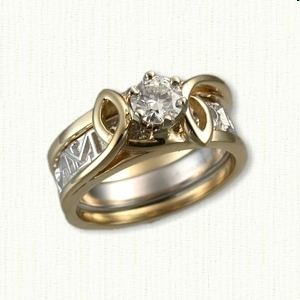 The inside band has a continuous pattern or plain & and can be worn daily by itself, while you are doing your house hold cleaning projects or enjoying outdoor activities where a stone filled mounting isn't appropriate.